 Whether you need a special campaign for a new program, a new facility, or any other special project, Protexia can help you develop the right strategy for success. The key to success for a capital campaign is building the right mix of seed gifts, communication tools, events, donor recognition opportunities, and other ingredients that can be executed strategically for the length of the campaign. And a successful capital campaign can’t compete with your regular operational and programming fundraising. Protexia helps you choreograph a campaign that meets your goals, without putting your regular revenue streams and operational excellence at risk.